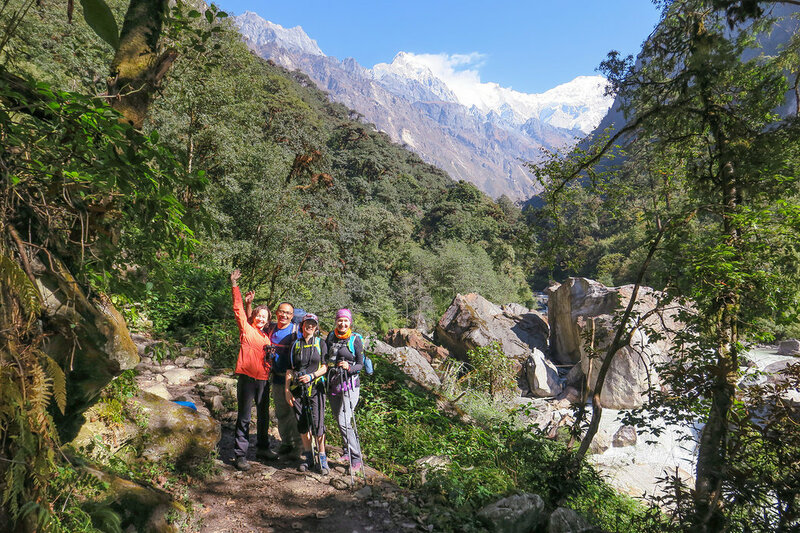 Explorer Adventure presents Tamang Heritage Trail Trekking, where you will be within impressive cultural and traditional villages of ancient mountains and hill tribes The Tamang drifted from Mongolia and through Tibet to Nepal back thousands of years. 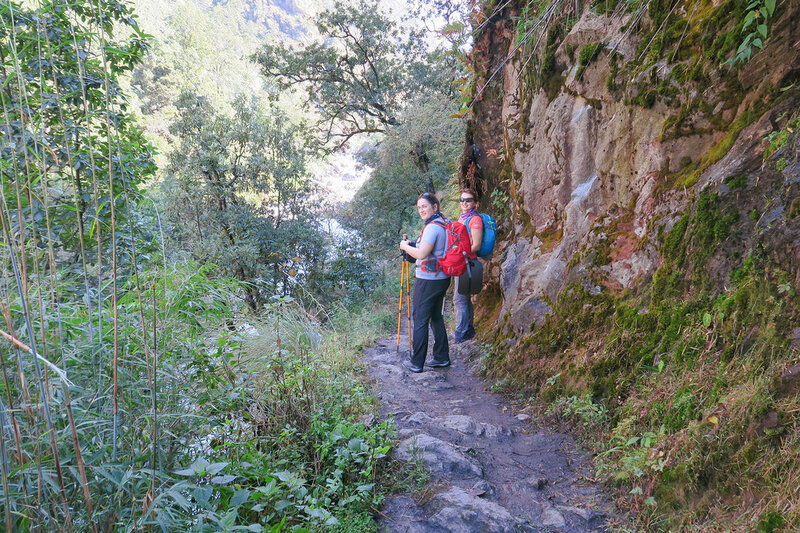 Bringing in their age-old custom of ancient heritage which includes colorful custom and culture similar to Tibetans which is just across the border from the areas of Tamang Heritage Trail north of Langtang Himal where this exciting walks leads close to the village on route Tibet-China frontier. 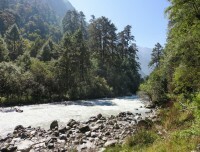 A marvelous journey of great fascination on daily walks, visiting rural farm villages and trekking into pristine forest of tall rhododendron-oaks-pines and fir tree lines where exotic bird-life with some rare and endangered animals that dwells around this beautiful surrounding within lush green vegetations. 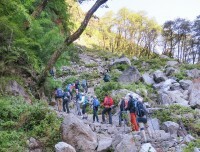 Starting Tamang Heritage Trail Trekking from Kathmandu, taking an interesting drive to reach the high hills of Langtang at Dhunche and Syabrubesi village, in the country fully populated by Tamang tribes and then walking into its charming villages full of farm and religious life interwoven with Buddhism teaching as well practice ancient Bon sect of pre Buddhism as well. 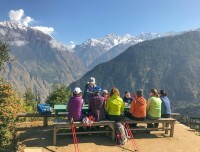 Walk leads to explore Tamang villages with its impressive cultures and custom and in comfort of nice farm lodge-guest house and overnights in home stay, around lovely villages of Gatlang-Tatopani-Briddim and Thuman with ever present views of mountain backdrop that includes massive Ganesh and Langtang Himal range of peaks. Our marvelous, interesting and scenic journey completes with a drive back to Kathmandu after a wonderful time on Tamang Heritage Trail Trekking of great interest. 1 Day 1: Arrival in Kathmandu and transfer to hotels.On reaching Kathmandu Tribhuwan International Airport where you will be warmly received by our guide and staff and then transfer you to your respective hotels in the hub of Kathmandu city. 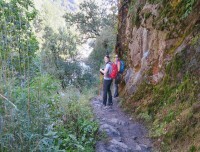 First check into your hotel rooms on getting refreshed from the flight and with Jet-Lag, then join with other members of Tamang Heritage Trail trekking for group briefing, where our expert guides will inform regarding your stay in Nepal, hotels, trekking, local lodge and overland drives with do’s and don’ts information, evening welcome group dinner in authentic Nepalese restaurants with Folk cultural programs to entertain you during your meals. 2 Day 2: In Kathmandu with sightseeing tour around world heritage sites.Morning after breakfast leave the hotel for exciting guided sightseeing around Kathmandu where our city guide will lead you to places of interest, Kathmandu a metropolitan city still retains its ancient heritage and varied ancient culture where you will visit world heritage sites around Kathmandu for half day or full day. After an interesting and wonderful tour of ancient historical and religious sites around Kathmandu, with afternoon free preparation for next day early morning drive to Langtang Himal region north of Kathmandu on journey to Tamang Heritage Trail. 4 Day 4: Trek to Gatlang 2,200 m - 05 hrs.Beginning our first day walk from Syabrubesi leading to a climb for a while but the rest of the walk is on gradual winding uphill trail past terraced farm fields and villages, as the trail descends and joins to reach a large and interesting Tamang village of Gatlang village, as our route leads further north west avoiding the motor-able road taking an old trekking path above the main road. 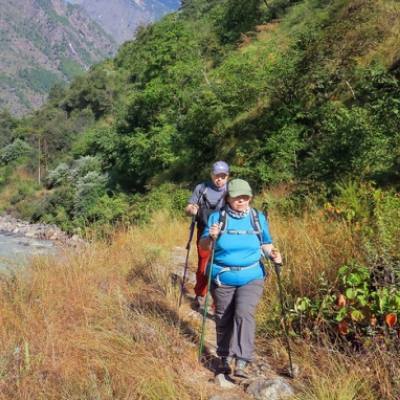 As walk enters into high hills with superb scenery of surrounding landscapes as our out trail leads ups and down and then reaching our destination for overnight stop at impressive village of Gatlang. 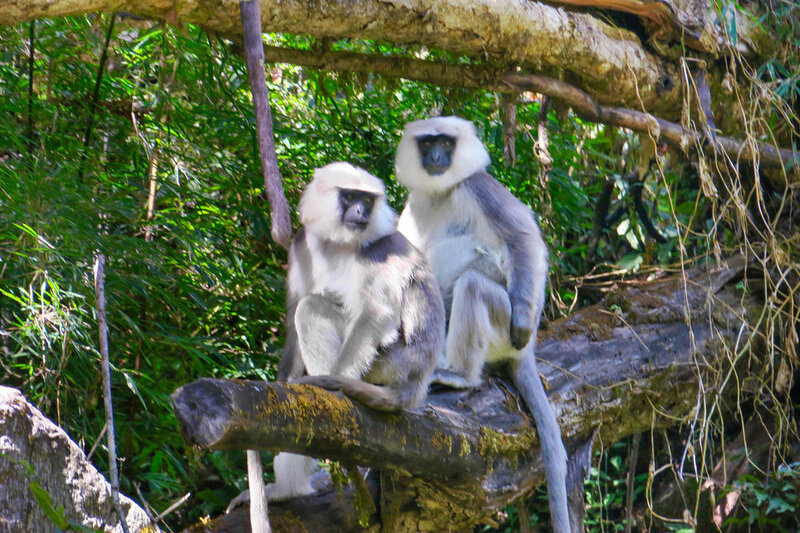 Here with time to visit its traditional villages and monasteries interwoven with Buddhism culture and heritage, greeted by friendly villagers in traditional custom. 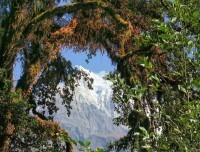 5 Day 5: Trek to Tatopani 2,607 m - 06 hrs.Morning starts after leaving nice and impressive Gatlang village where our walks leads further North West on neat stone paved paths for sometimes, past terraced farm fields of millets and barley with constant views of massive Ganesh Himal and Manaslu including Langtang Himal. As walk approaches to our overnight stop at Tatopani village, a place with hot natural spring, where Tato Pani means ‘Hot Water’ Here enjoy the afternoon time visiting its nice Tamang houses of intricate carving on windows and doors and then refresh yourself in the hot spring located close to the village. 6 Day 6: Trek to Thuman 2,400 m via Nagthali - 06 hrs.On leaving Tatopani enjoying its warm pools and cultural villages, as morning walk leads on the trail towards Tibet border for few hours to reach at Thuman village via high Nagthali ridge. 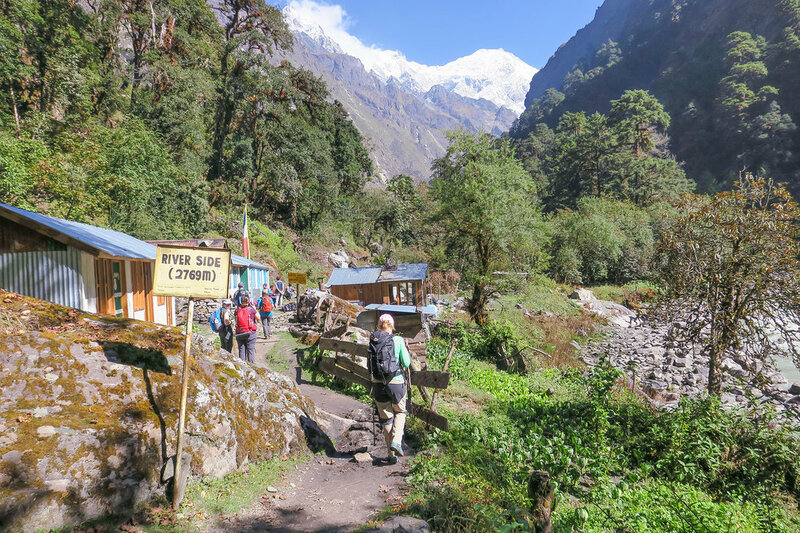 A gentle walk follows on gradual winding path towards north and then with climb for some hours encountering few short descend overlooking views of Ganesh Himal and Langtang Himal, as walk leads enters into cool shade of alpine woodland then reaching at Nagthali village. 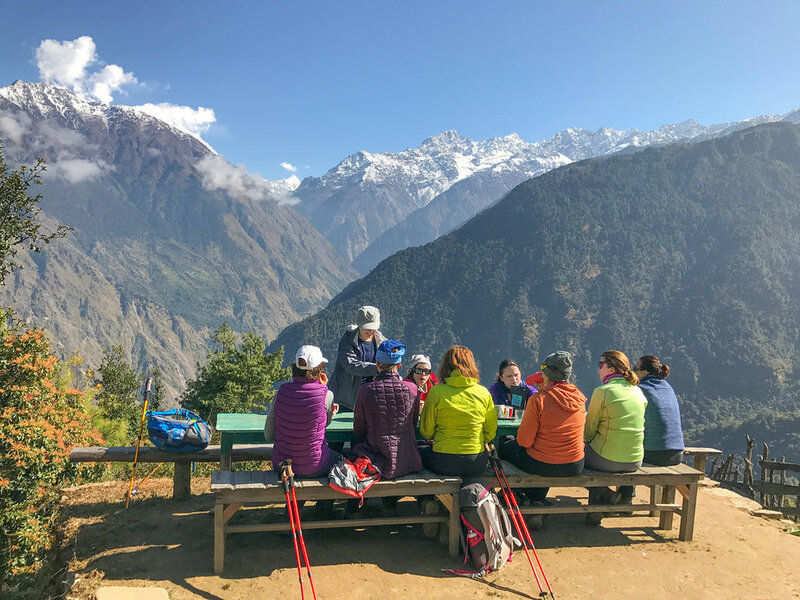 Here with possible lunch stop, and then continue walks to our overnight stop at Thuman village with ample time to explore around this nice remote farm village of immense culture and age-old heritage. 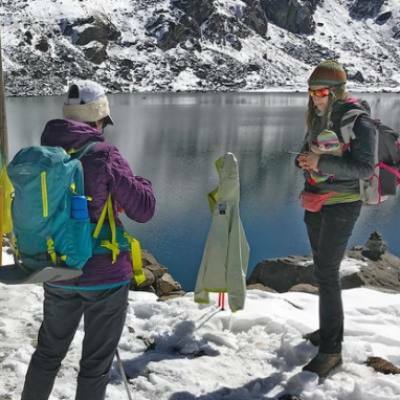 7 Day 7: Trek to Briddim 2,345 m - 06 hrs.After a wonderful time on this rural farm village with views of snow clad peaks, morning walk starts with a climb to a ridge with more super scenery of surrounding green landscapes dotted with villages and of mountains. As walk progress heading into nice forest full of rhododendron, pines and oaks trees and then slowly our day comes to an end on reaching at Briddim village for overnight stop. 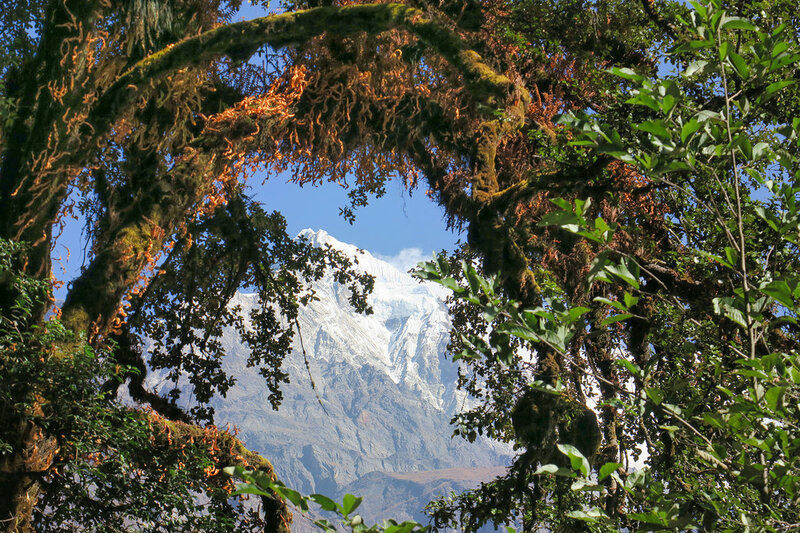 8 Day 8: Trek to Lama Hotel 2, 350 m - 06 hrs.From Briddim village, walk leads on nice mountain path with slow climb up to reach a high ridge past farm terraces into cool lovely woodland to reach a high hill top with superb views of Langtang Himal with Ganesh mountains, as walk leads to a descend within deep forest of tall rhododendron-magnolia-oaks and pines with patch of bamboo groves to reach an open clearing at Lama Hotel. A nice peaceful spot with number of lodges surrounded within green woodland and close to upper Trisuli River located in a gorge. 9 Day 9: Trek to Syabrubesi - 06 hours walk.Our last day trek of fabulous Tamang Heritage Trail lead you back to Syabrubesi as morning walk follows on the same trail with much downhill past spread-out farm villages and terrace fields and eventually reaching at Bhote Kosi River, which later joins Trisuli River, after crossing a suspension bridge a pleasant walk brings you at Syabrubesi for last and final overnights around Langtang Himal area and Rasuwa district. 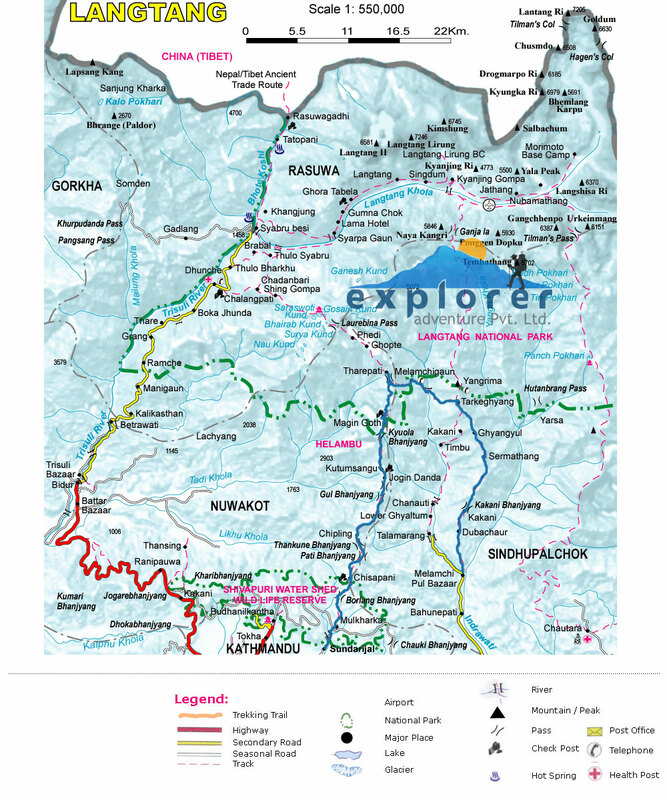 11 Day 11: Depart for international flight home ward bound or to respective countries.Your last memorable day in Nepal after a wonderful experience on Tamang Heritage Trail with great service of Explorer Adventure, and as per your international flight then transfer to Kathmandu international airport for homeward bound or to your respective destinations. 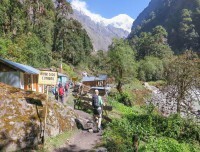 Highest elevation gain: At Tatopani village 2,607m high.